Laura Soncrant is founder and owner of The Growling Rabbit – a cafe, a full-service bake shop and café specializing in healthy comfort including hearty brunch, sweet treats, and refreshing drinks. Located in Chicago, Soncrant opened The Growling Rabbit in 2011 after a turn in the economy left her searching for a more meaningful career. At the end of the day it all boils down to being a project manager. The first day I worked in a restaurant was the day I opened the doors to The Growling Rabbit. With my career in landscape architecture behind me and my newly obtained master of arts management degree ready to be applied, I felt I had what it would take to turn my small farmer’s market bakery into a full-service restaurant. I look at every day as nothing more than a series of projects that I organize, plan, delegate, and then follow up with, only to re-address and complete the steps again based on an updated set of parameters. While we are called The Growling Rabbit, I remind myself daily the tortoise won the race. While the method I have used to grow may not be the fastest, slowly but surely, I have grown one project at a time into what is now a thriving cornerstone business within Chicago’s Rogers Park community. Having the ability to quickly assess a situation and, in my head, form it into a project that needs managed. Once I have a clear understanding of the project, I am then able to make a quick and calculated action plan based on known elements. Having a good understanding of the people and the team around me helps me delegate tasks as needed. Checking back to be sure all tasks within the action plan are completed and are successful is the main ingredient in the recipe used to move my business forward. It’s at this point I am able to learn what is working well within my system and what needs to be adjusted. This strategy is one I apply every day and it is one that has helped me grow from a few thousand dollars in sales a year to a growing business projected to do over a half million dollars in sales this year and looking to expand into a new space and new concept. It is equally applied to grocery shopping with my four year old as it is to staffing and supplying a restaurant. I will stay the best by surrounding myself with people that know more than I do. I am a leader who will never ask my team members to do something I am not willing or able to do myself. With that said I would rather surround myself with a highly talented team who knows how to do what needs to be done and can do it better than me. I choose to direct the orchestra rather than play in it. With that said if one of my team members is out, I am able to pick up where they left off and fill the void as needed until they return. Personal: As a mom to a four year old, I find so much of what I do in personal and business I do thinking about how it will better my son. My personal aspiration during this phase of my life is to be the best mom possible so that in turn Kai is able to grow into the best adult possible. I opened The Growling Rabbit when Kai was three months old so I have watched both the business and my son grow side by side. While there are a lot more players involved in the business, I must say parenting is really a lot more pressure. Business: To grow The Growling Rabbit into a brunch pub. While we have enjoyed success with our current brunch cafe business model, it is one I find will not be sustainable long term due to our space limitations. Since we are at capacity in our current space upwards to 70% of the time, and with no room for kitchen expansion, it is not one that offers much growth unless we move. With a move needed for survival, I surmise adding the component of a pub to the already wildly successful brunch we currently serve would create a win/win situation for myself, staff, and our community. In order to find out more, check out bitly.com/thegrowlingrabbit to see this future vision of The Growling Rabbit – a brunch pub. How connected, not electronically, but rather personally, everything and everyone is. This is an idea that has become a bigger part of who I am since becoming a business owner in the small Rogers Park neighborhood within the large city of Chicago. You never know which customer is going to provide your next big wholesale lead or who is going to suggest your place to a reality TV show scouting crew. You never know if that first date enjoying the window seat is going to be next year’s big wedding cake order. 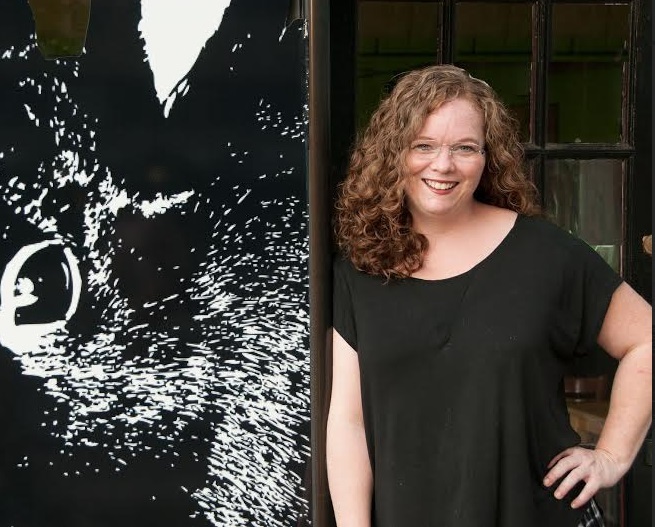 By investing time and genuine interest in the community The Growling Rabbit serves, I have been able to personally fulfill my interest of running a successful business. While no one famous has said it and there are no cute posters touting its virtue as a motto I think applying the idea of “need versus want” best encapsulates my guiding principles when making decisions. My Dad. In fact it’s the respect and appreciation for his advice and knowledge that I have based my whole company on. I incorporated on what would have been his 59th birthday as a way to personally celebrate the lessons he taught me and apply them to my daily actions. I found Paris to be the most natural city for me to navigate. Australia’s Wilsons Promontory National Park was a life changing experience. Yosemite National Park was the most beautifully stunning place I have visited. Mackinac Island, Michigan holds some of the most precious memories I cherish. There is no one silver bullet product in my life. I am a bit more focused on the end results and whatever item or product is needed to get me there is what I use. I am not really brand or product loyal rather I appreciate items of modern convenience like dishwashers, and air conditioning. Being an entrepreneur my business is my passion. It has to be. If it’s not I have 16 people who lose the opportunity to earn a living. With all the personal reward and connection The Rabbit offers, it’s easy to state that being a restaurateur is my passion because each day is a new adventure. My passion outside of business, though, is instilling an enthusiasm for learning and living in my son, Kai. After all, orchestrating an environment that allows for discovery, creativity and growth is nothing short of an obsession when you are a mother. I feel I am living through one of the most challenging moments within my business right now. I would like to grow and expand what is a successful business. Figuring out the economics of making this growth a possibility has been to date a challenge at best. Raising liquid funds and establishing collateral, seeking investors, and negotiating for real estate all while continuing to run a wildly busy restaurant has been, is, and will continue to be a challenge. I thrive on challenge though and it is in situations like this I feel on top of my game. I look forward to what the next few months will bring as I feel at the end of the day, while there may be bumps, bigger and better is our future. Living in the small town of Truckee California, while an experience I would not trade as it taught me great life lessons, was one that turned out to be a huge disappointment. While on the surface it was a beautiful place, it taught me beauty does not pay the bills. The wonderful opportunity to meet amazing people was a priceless experience and one I am grateful for but Truckee taught me I am not a small town person. Knowing what drives you and being in an environment that allows for personal growth to flourish was a lesson one can only be taught by living in a personally stagnate environment for some time. I am a Chicago gal and thanks to the disappointment of living in the Lake Tahoe area I now know this without a shadow of a doubt. Currently I think my biggest success is building a sustainable business. A sustainable business in an industry that within Chicago city limits has a 75% fail rate. A sustainable business opened in at the height of the down economy in a hard working class neighborhood with minimal disposable income. Despite all these factors we have grown revenue year over year 25% or more and we are currently looking to grow into a bigger space that would allow us to evolve our brand.